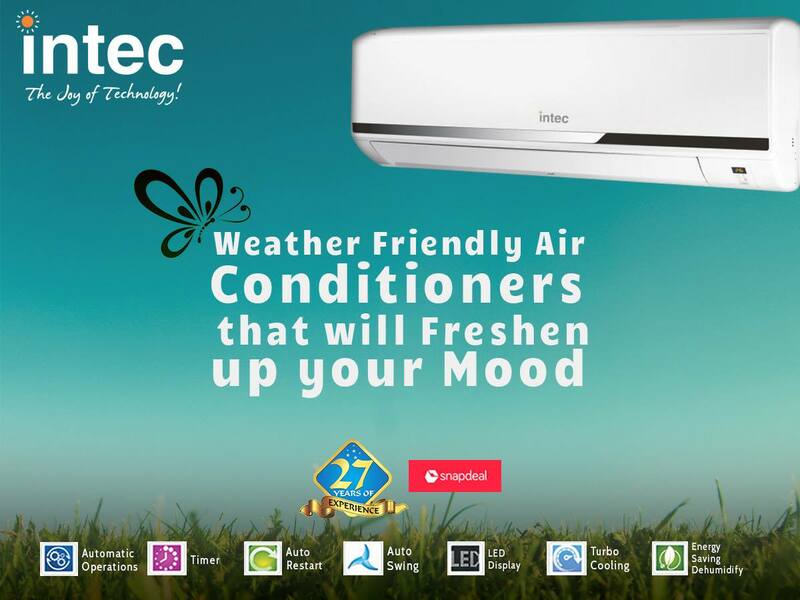 Air conditioner is the only home appliance that gives respite from vehement heat. It is a necessity for every household in our country given the global climate condition has affected the weather condition all over the world. 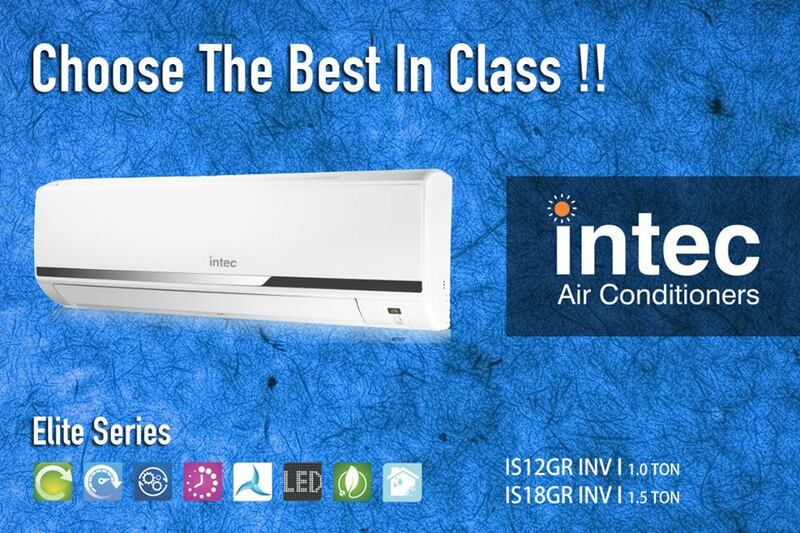 Air conditioner brings down the temperature in a matter of few minutes in the area wherein it is installed. Hence it would be pretty interesting to know the exact method in which the AC works. 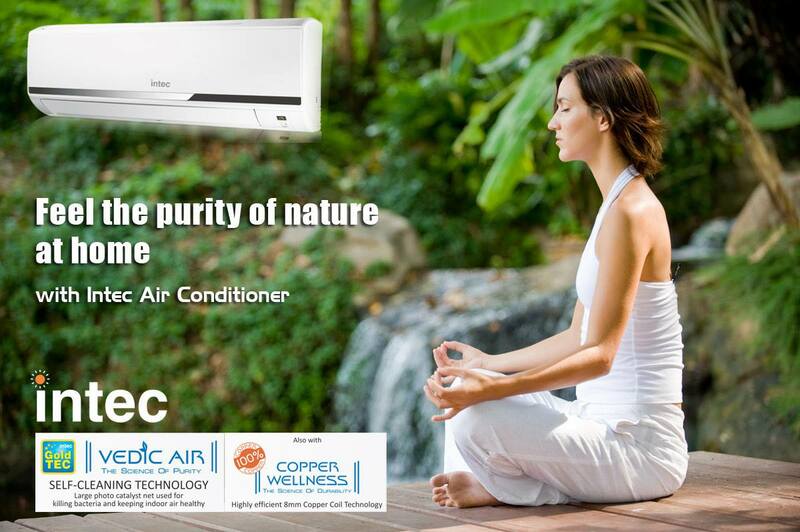 Air conditioner has basically three components that acts as the heart and soul of its mechanism. These are compressor, condencer and an evaporator. To start with, the working fluid makes it way out of the pressure in the form of hot gas in high pressure. The compressor lets the hot gas pass to the compressor. More heat is dispersed by metal fins which are formed outside the air conditioning system. The fluid that leaves the condencer is now much cooler and it also changes its form due to high pressure. It moves toward the evaporator through a narrow hole and by the time reaches to the other side of the passage, there is a drop in temperature. During this occurrence, heat is extracted from the air in the surroundings that separates the liquid molecules into gas. If there is an issue that concerns us when we are going to buy an air conditioner, what type of air conditioning do we need? The supply of equipment in the market is increasingly extensive. 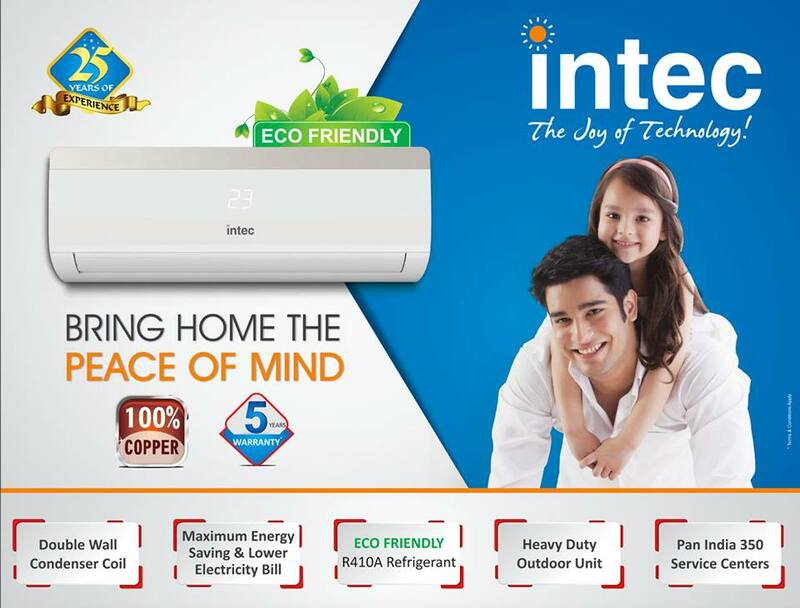 Thanks to the research and innovation work that home appliances brands in India develops, we must know very well what type of air conditioning is the most appropriate to solve our need for air conditioning. What room do you need to air condition? Is it for domestic use or commercial use? Do you have pre-installation for air conditioning at home or in the office? Are there allergies at home? Any sick person in the respiratory system? Mural Split: The equipment you need if you want to have air conditioning or heating in one room. It is an affordable and straightforward way to solve your air conditioning problem in a single place. The team is made up of two units: interior and exterior. Undoubtedly, a quality air conditioner is an excellent ally in the summer season, but it must be taken into account that it is also an ideal option to heat homes throughout the winter. At present, the best technology is at the service of the citizen. Society is experiencing rapid technological progress, where the least possible environmental impact, as well as fully satisfy the demands of the consumer, is becoming increasingly important. A good example is a less power consumption air conditioner that provides optimal functionality at an affordable price for anyone. At a national and global level, almost all sectors are aware of climate change. Over the years, more extreme temperatures are reached both in summer and in winter and homes, necessarily, have to adapt to these inclement weather. Currently, air conditioning in homes seems essential and will continue to be more in the future. The demand for air equipment has risen considerably in recent times, and almost all households have these devices; even people who do not yet have them plan to install one in the short term. In the case of older adults, the fact of having an air conditioner is vital, due to the high temperatures of summer and the frigid days of autumn and winter. With the arrival of summer and the rise in temperatures in many homes is beginning to consider the purchase of an air conditioning equipment, and that is when the question arises, will it be better to buy a new one or can I buy the second hand and save myself some money? When it comes to purchasing an appliance, it is important to review several issues that we must take into account. Some may affect the total investment we will make in the team, as well as the quality of life in the home that this will give us. Filters are one of the essential components for the proper functioning of air conditioners. You have to keep them in perfect condition, making revisions every few months. This maintenance is something simple; you just have to remove the filters and clean them with soap and water. 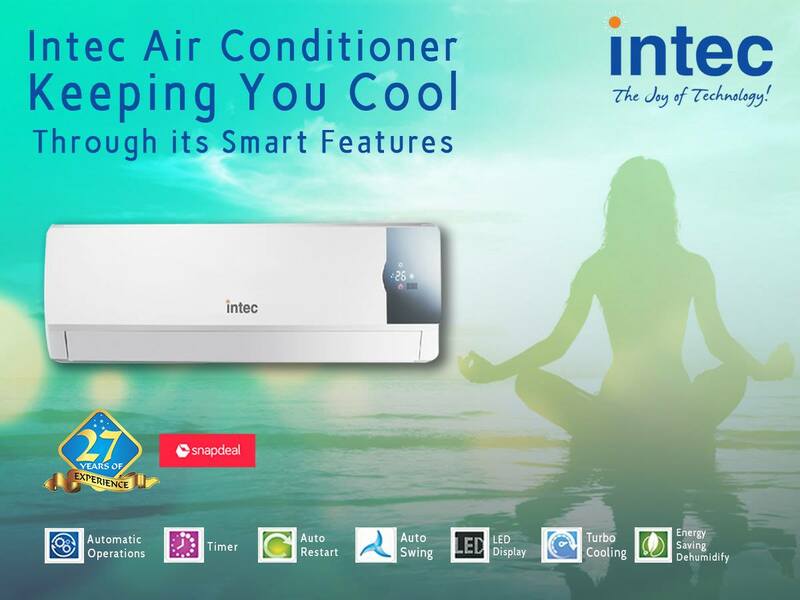 Having a quality air conditioner, like the different ranges that Intec air conditioner offers supposes a great tranquility and comfort to the homes. But this device requires proper care and maintenance to prevent it from breaking or clogging. For this, a regular cleaning of the internal filters and the battery of the outdoor unit should be carried out, as well as checking the refrigerant gas charge. Why does the air conditioner leak water? One of the most frequent questions that users usually ask is why the lowest power consumption air conditioner in India drains water. In the first place, it must be said that the amount of water that flows through the drain is a function of the percentage of humidity in the environment. This stream is generated by the same air as a result of condensation. By putting the air in cold mode, the exchanger of the indoor unit is flooded with gas at low temperature and pressure, so that it cools and all the humidity of the air adheres to the exchanger. It liquefies and falls down the drain to the tube. Something that is accentuated much more in summer and especially in the coastal areas, due to the higher humidity of the environment, where you can, in a single day, get to generate several liters of water. 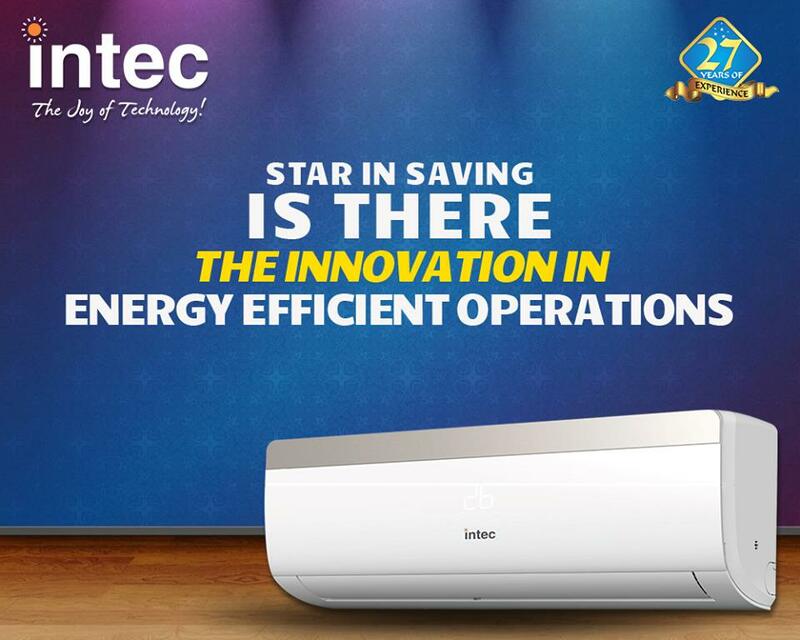 The new air conditioning systems have energy optimization systems designed to make consumption more efficient. It supposes a decrease in the cost of electricity, as well as a lower environmental impact. 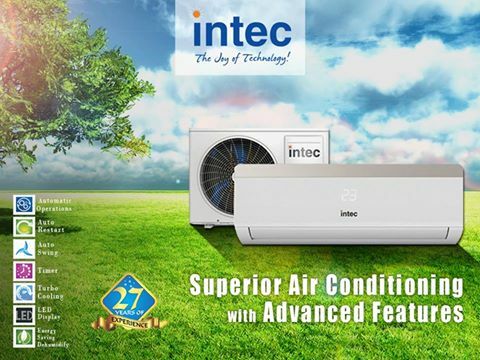 For example, teams of air conditioning from Intec air conditioner are market leaders in energy saving systems, and also for its silent technology. During the summer or those months of very hot weather, an air conditioning at home becomes almost indispensable to be comfortable and cool during the day and night. As we know, air conditioners usually consume a large amount of energy and their constant use during the hot season can become more of an economic problem than a pleasure, adding tens of euros to our electricity bill. Luckily, there are many models in the market that are able to consume little amount of energy. These are known as low-consumption air conditioners and are the ideal option if you want to incorporate freshness into your home without compromising your finances and respecting the environment. Low-energy air conditioners limit their functions to maintain a cold or hot room if the appliance also has a heat pump- using a minimum amount of energy. Those home appliances brands in India that have an energy rating of type A, from A + to A +++, can be considered as low consumption. The operation of one of these types of air conditioners is totally conventional and is ideal if you are looking only for an appliance that can keep your room at a comfortable temperature. 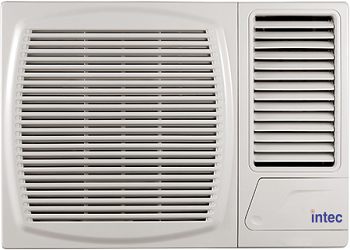 How Best to Choose a Place to Install An Air Conditioner? It is necessary to understand that the selection of the location for the installation of the air conditioner must be approached responsibly because the wall conditioner cannot be moved or moved to another location. 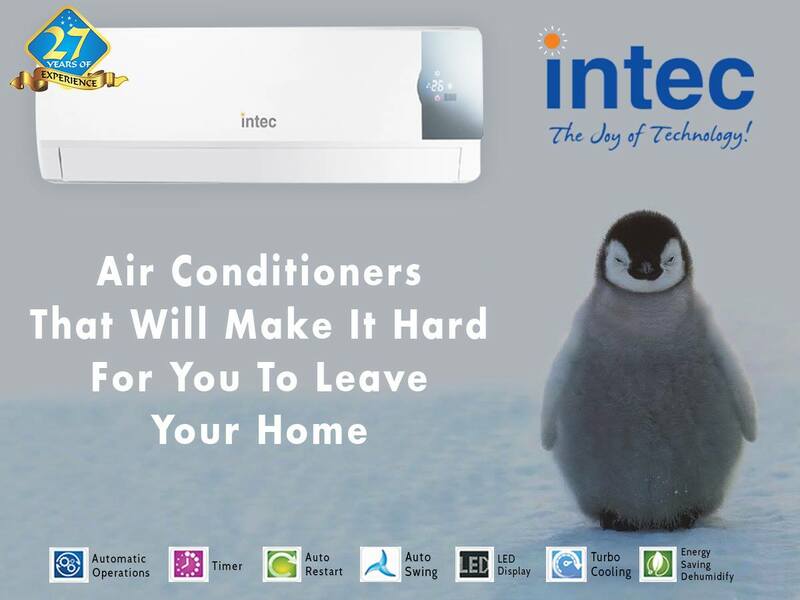 When installing Intec air conditioner, it is essential to consider how the furniture will be located indoors. Excluding direct hit of an air stream on people is necessary. Do not install the air conditioner opposite the bed/sofa / dining table / workstation, i.e.the place where people will be. In the case of such an installation, cold air will blow directly to the person, with a high probability of catching a cold and this is simply not comfortable. The air flow should be directed so that it can pass freely or where people cannot be too often, or (if the speech is still about the office) between the places of workers. If it is a bedroom and its dimensions are not large, and there are not many places for installing an air conditioner, then the air conditioner should be installed at the head of the bed. There is an opinion that if you install the air conditioner over your head, it will blow directly onto the person lying underneath it, but it is not. In the case of such an installation, the flow of cold air will drop only in the region of the legs of the lying person, which are most often covered, and therefore protected.